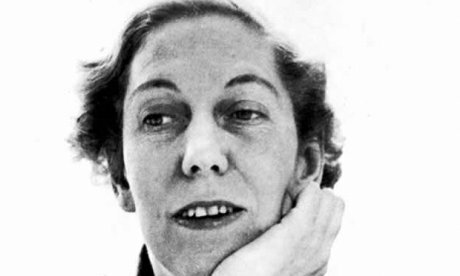 We continue our month of Southern fiction here at SSMT with a week of Eudora Welty. She’s one of the all-time masters when it comes to narrative voice. “Why I Live At The P.O.” is probably the best example, but “Where Is The Voice Coming From?” ain’t too far off. The truly remarkable part – well, there are many remarkable parts here but whatever – is the way Welty is able to incorporate a beauty to the narrative voice even while establishing very clearly the character’s worldview doused in ignorance and hatred. There is a poetry to the language. The murder scene is particularly powerful. It’s a remarkable combination of politics, history, fiction and local point of view. And that’s quite a trick on Welty’s part. He had to be the one. He stood right still and waited against the light, his back was fixed, fixed on me like a preacher’s eyeballs when he’s yelling “Are you saved?” He’s the one. I’d already brought up my rifle, I’d already taken my sights. And I’d already got him, because it was too late then for him or me to turn by one hair. Something darker than him, like the wings of a bird, spread on his back and pulled him down. He climbed up once, like a man under bad claws, and like just blood could weigh a ton he walked with it on his back to better light. Didn’t get no further than his door. And fell to stay. He was down. He was down, and a ton load of bricks on his back wouldn’t have laid any heavier. There on his paved driveway, yes sir. And it wasn’t till the minute before, that the mockingbird had quit singing. He’d been singing up my sassafras tree. Either he was up early, or he hadn’t never gone to bed, he was like me. And the mocker he’d stayed right with me, filling the air till come the crack, till I turned loose of my load. I was like him. I was on top of the world myself. For once.